Born: 8 April 1815, Carrickmacross, Monaghan, Ireland. Died: 8 January 1897, Ramsgate, England. John Patrick Fitzgerald, son of Patrick Henry Fitzgerald and his wife Anne, born Dunoyer, studied medicine in Dublin, Ireland, qualifying as a member of the Royal College of Surgeons (MRCS) of England in 1838. Continuing his studies in Glasgow, Scotland, he received the Mackenzie Prize for Diseases of the Eye and was awarded the degree Doctor of Medicine (MD) in 1839. He also obtained a Diploma in Obstetric Medicine from the Britain Street Lying-in Hospital in Dublin. In January 1840 he arrived in New Zealand and later that year was appointed coroner and health officer in Port Nicholson. In November 1842 he married Eliza Sarah Christian, with whom he had a son and two daughters. In 1845 Fitzgerald was appointed surgeon to the Wellington militia and in September 1847 became superintendent of the Colonial hospital in Wellington. He introduced advanced medical techniques, but his cures and his association with the Catholic Church attracted criticism and inquiries into his conduct and qualifications. Following the death of his wife in 1852 and suffering from failing health he resigned his position in July 1854 and returned to England the next year. In New Zealand he had impressed Sir George Grey with his organising ability, and when the latter became Governor of the Cape Colony he invited Fitzgerald to initiate a medical service in British Kaffraria (now part of the Eastern Cape). Arriving at King William's Town in March 1856 with the title "Superintendent of native hospitals in British Kaffraria", Fitzgerald set up a temporary hospital in some cottages and supervised the building of a permanent hospital (later named Grey Hospital), which began to take in patients in June 1859. The hospital included permanent canvas marquees for patients requiring special treatment. Fitzgerald set about his medical duties with great zeal. His tact, diplomacy and experience with the Maoris in New Zealand soon earned him the trust of the native population, while the first cases of blindness he cured by operation were viewed as miracles. In 1857 Dr Charles J. Egan* and Dr James Peters joined him as assistant colonial surgeons. In 1876 he made arrangements to train some young Xhosas as medical students and as his first assistants. Fitzgerald was formally registered to practice in the Cape Colony in November 1870. He published The King William's Town Hospital Reports, No. 1 (King William's Town, 1858, 30p), which included returns of the number of cases treated and the regulations for the hospital. Further reports followed. He also wrote A short history of the Native Hospital, King William's Town, British Kaffraria (King William's Town, 1864, 8p). This was followed years later by an updated account, A short history of the native hospital and permanent canvas marquees, as adjuncts thereto for natives and Europeans, King William's Town, South Africa (King William's Town, 1885, 18p) and A short history of the Grey Hospital, together with an essay on improved sanitation (King William's Town, 1888, 30p). In 1865 Joseph Lister announced his antiseptic technique in the treatment of wounds, hailed by some of his colleagues as a great advance in the relief of human suffering, but opposed by others. 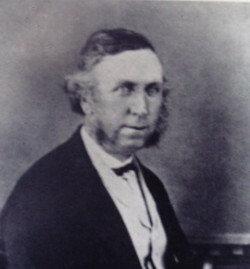 Fitzgerald was one of Lister's first followers in South Africa, after the Colonial Government had drawn the attention of local medical men to Lister's ideas and methods in 1869. In March that year he wrote to the Colonial Secrerary describing his use of carbolic acid in the treatment of extensive lacerated wounds and after amputations. He was most impressed by the sudden cessation of pain after the application of carbolic acid and the rapid recovery of his patients. This constitutes the first known reference to any form of local anaesthesia in South Africa by the application of drugs. In November 1886 Fitzgerald was elected a member of council of the newly established Frontier Medical Association. He retired as superintendent of Grey Hospital on 1 April 1891, a week before his 76th birthday. He had treated about 135 000 native patients, of which more than 200 had their sight restored, while also attending to many missionaries and colonists, and to the troops during the Ninth Frontier War (1877-1878). In 1893 he resided in Canterbury, England, but later settled in Ramsgate. Cape of Good Hope Government Gazette, 9 January 1885, pp. 41-45: List of medical practitioners in the Cape Colony. Fitzgerald, John Patrick. Te Ara, the Encyclopedia of New Zealand. Retrieved from http://www.teara.govt.nz/en/biographies/1f10/fitzgerald-john-patrick on 14 November 2016. National Automated Archival Information Retrieval System (NAAIRS). http://www.national.archives.gov.za/naairs.htm Documents relating to John Patrick Fitzberald / J.P. Fitzgerald / Dr Fitzgerald. Schmidt, H.J. A history of anaesthesia in South Africa. South African Medical Journal, 1 March 1958, Vol. 32(9), pp. 244-251. South African Medical Journal [1st series], 17 November 1886, Vol. 2(20), pp. 78-79: Frontier Medical Association.